Background: The enzyme glutamate decarboxylase (GAD) is responsible for the synthesis of the essential neurotransmitter gamma-aminobutyric acid (GABA) from L-glutamic acid (1). GAD1 (GAD67) and GAD2 (GAD65) are expressed in nervous and endocrine systems (2) and are thought to be involved in synaptic transmission (3) and insulin secretion (4), respectively. 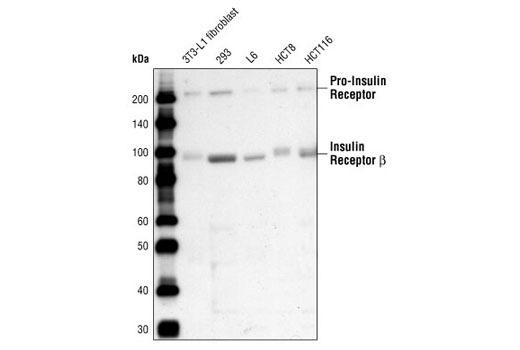 Autoantibodies against GAD2 may serve as markers for type I diabetes (5). Many individuals suffering from an adult onset disorder known as Stiff Person Syndrome (SPS) also express autoantibodies to GAD2 (6). 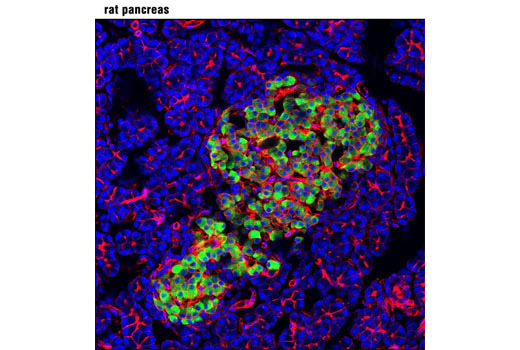 Background: TNFRSF18, also known as glucocorticoid-induced tumor necrosis factor-receptor (TNFR)-related protein (GITR) and activation-inducible TNFR family receptor, encodes a type 1 membrane protein of the TNF-receptor superfamily (1). Three alternatively spliced transcript variants encoding distinct isoforms have been reported (2). 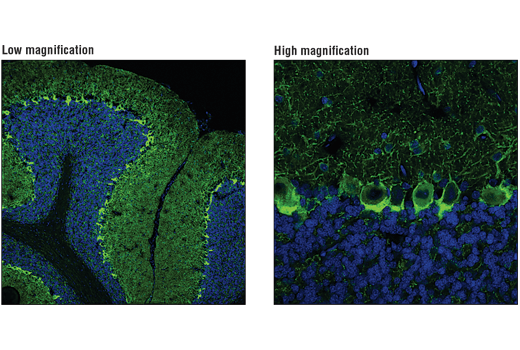 GITR is an immune cell co-stimulatory receptor expressed constitutively at high levels on CD4+CD25+ T regulatory cells (Tregs), at low levels on naive and memory T cells, and is induced upon T cell activation (3-5). Studies show GITR can also be induced on NK cells, macrophages, and DCs (3, 4, 6). Although GITR does not have intrinsic enzymatic activity, TNFSF18 (also known as GITRL) expressed on antigen presenting cells binds to GITR resulting in recruitment of TNFR-associated factor family members and activation of the NF-kappa-B pathway in T cells (7). GITR ligation has been shown to play a role in CD8+ T cell activation, cytoxicity, and memory T cell survival (8-10). 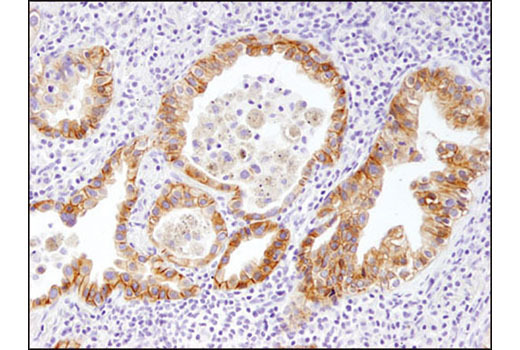 In the thymus, GITR is thought to play a key role in dominant immunological self-tolerance through thymic Treg differentiation and expansion (11). Of note, GITR ligation inhibits Treg suppressive function (12-13) and promotes effector T cell resistance to Treg suppression (14-15). Due to the combined effects on both Treg suppression and effector cell activation, GITR represents a unique opportunity for immunotherapeutic intervention in cancer (16). Background: Glucocorticoid hormones control cellular proliferation, inflammation, and metabolism through their association with the glucocorticoid receptor (GR)/NR3C1, a member of the nuclear hormone receptor superfamily of transcription factors (1). GR is composed of several conserved structural elements, including a carboxy-terminal ligand-binding domain (which also contains residues critical for receptor dimerization and hormone-dependent gene transactivation), a neighboring hinge region containing nuclear localization signals, a central zinc-finger-containing DNA-binding domain, and an amino-terminal variable region that participates in ligand-independent gene transcription. 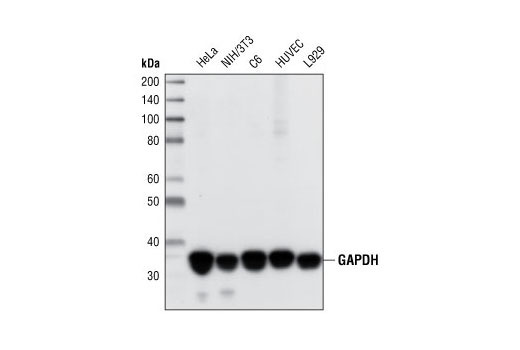 In the absence of hormone, a significant population of GR is localized to the cytoplasm in an inactive form via its association with regulatory chaperone proteins, such as HSP90, HSP70, and FKBP52. On hormone binding, GR is released from the chaperone complex and translocates to the nucleus as a dimer to associate with specific DNA sequences termed glucocorticoid response elements (GREs), thereby enhancing or repressing transcription of specific target genes (2). It was demonstrated that GR-mediated transcriptional activation is modulated by phosphorylation (3-5). Although GR can be basally phosphorylated in the absence of hormone, it becomes hyperphosphorylated upon binding receptor agonists. It has been suggested that hormone-dependent phosphorylation of GR may determine target promoter specificity, cofactor interaction, strength and duration of receptor signaling, receptor stability, and receptor subcellular localization (3). Background: The Golgi apparatus functions in the modification, organization, and transport of proteins and membranes targeted to other parts of the cell, such as the plasma membrane, lysosomes, and endosomes. This regulated transport is important for appropriate protein localization, secretion, and signal transduction. Members of the Golgin family of proteins, including GM130, Giantin, p115, and GRASP65, are defined by their presence in the Golgi matrix and by their long coiled coil domains. Golgin function, which is regulated in part by small GTPases of the Rab and Arl families, includes establishing and maintaining Golgi structure and transport (reviewed in 1). The Golgi cisternae are stacked and linked laterally to form a ribbon. GRASP65 and GM130 are required for membrane fusion events that mediate ribbon formation during Golgi assembly. These lateral fusion events allow for uniform distribution of Golgi enzymes (2). GM130 and Giantin interact with the transport factor p115 to facilitate endoplasmic reticulum (ER)-Golgi transport (3). 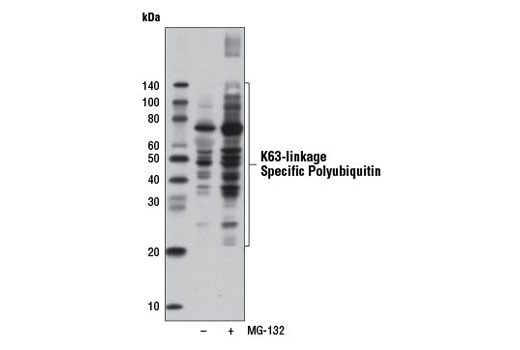 GM130 is also involved in the transport of the Ether-a-go-go-Related (hERG) potassium ion channel. Inappropriate hERG localization may be an underlying cause in Long QT syndrome, a hereditary and potentially fatal cardiac arrhythmia (4). Further, GM130 was implicated in signal transduction regulating invasion, migration, and cell polarization via its interaction with and activation of serine/threonine kinases YSK1 and Mst4 (5). 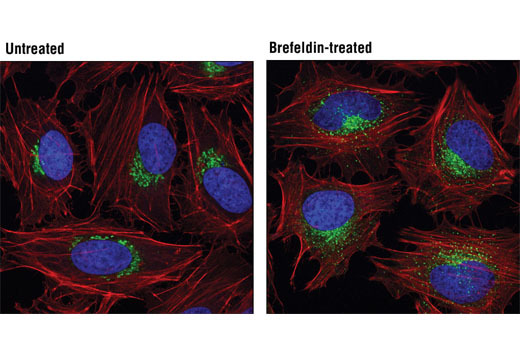 This Cell Signaling Technology antibody is immobilized by the covalent reaction of formylbenzamide-modified antibody with hydrazide-activated magnetic bead. 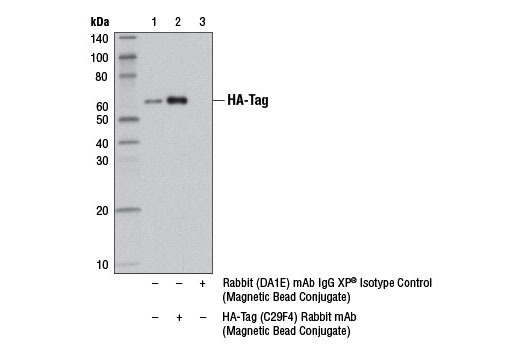 HA-Tag (C29F4) Rabbit mAb (Magnetic Bead Conjugate) is useful for immunoprecipitation assays of HA-tagged recombinant proteins. 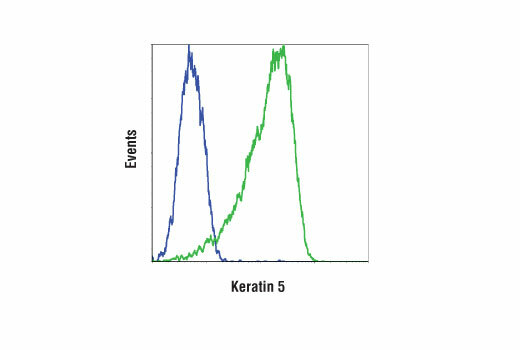 Background: HER3/ErbB3 is a member of the ErbB receptor protein tyrosine kinase family, but it lacks tyrosine kinase activity. 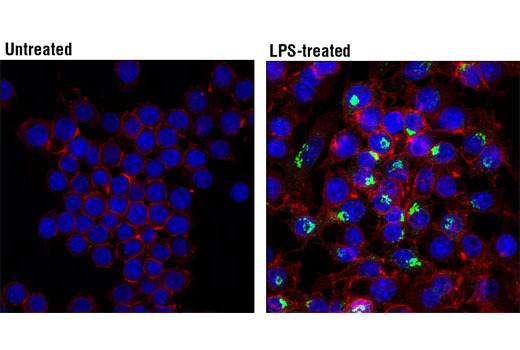 Tyrosine phosphorylation of ErbB3 depends on its association with other ErbB tyrosine kinases. Upon ligand binding, heterodimers form between ErbB3 and other ErbB proteins, and ErbB3 is phosphorylated on tyrosine residues by the activated ErbB kinase (1,2). There are at least 9 potential tyrosine phosphorylation sites in the carboxy-terminal tail of ErbB3. 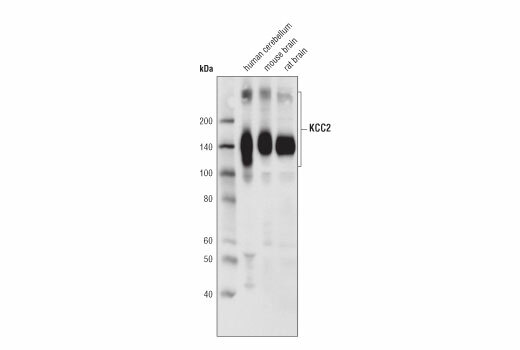 These sites serve as consensus binding sites for signal transducing proteins, including Src family members, Grb2, and the p85 subunit of PI3 kinase, which mediate ErbB downstream signaling (3). Both Tyr1222 and Tyr1289 of ErbB3 reside within a YXXM motif and participate in signaling to PI3K (4).Investigators have found that ErbB3 is highly expressed in many cancer cells (5) and activation of the ErbB3/PI3K pathway is correlated with malignant phenotypes of adenocarcinomas (6). Research studies have demonstrated that in tumor development, ErbB3 may function as an oncogenic unit together with other ErbB members (e.g. ErbB2 requires ErbB3 to drive breast tumor cell proliferation) (7). Thus, investigators view inhibiting interaction between ErbB3 and ErbB tyrosine kinases as a novel strategy for anti-tumor therapy. Background: HES1 (Hairy and Enhancer of Split 1) is one of seven members of the HES family of basic helix-loop-helix (bHLH) transcription factors which function primarily to repress transcription of bHLH-dependent genes (1). HES1 is understood to play an important conserved role in maintaining pluripotency of embryonic and adult stem/progenitor cells via the transcriptional repression of genes that promote differentiation (1,2). 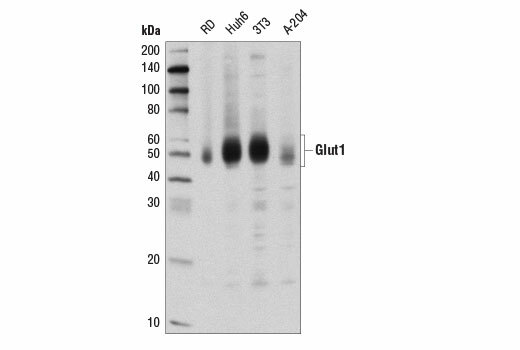 HES1 is particularly well known as a repressive mediator of the canonical Notch signaling pathway (3). 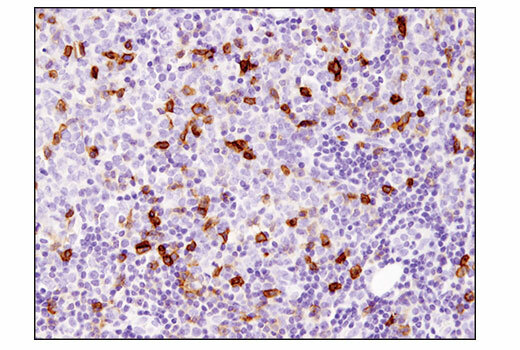 HES1 plays a key role in mediating Notch-dependent T cell lineage commitment (4), and has been reported to be an essential mediator of Notch-induced T cell acute lymphoblastic leukemia (T-ALL) (4,5). 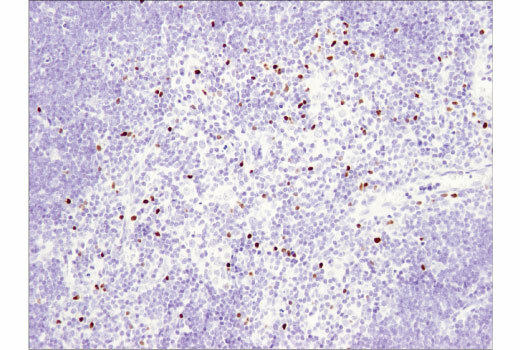 HES1 is also reported to mediate Notch-induced repression of differentiation in a number of cancer cell types. 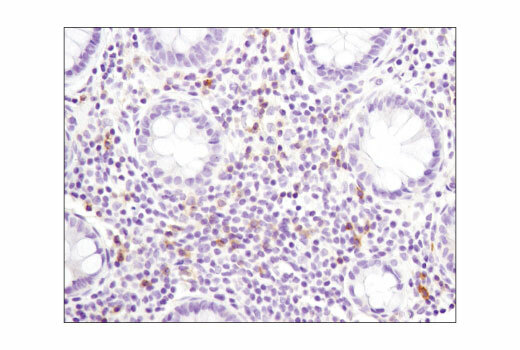 A conditional deletion of HES1 from intestinal tumor cells in APC-mutant mice reduced tumor cell proliferation, while promoting differentiation toward epithelial lineages (6). 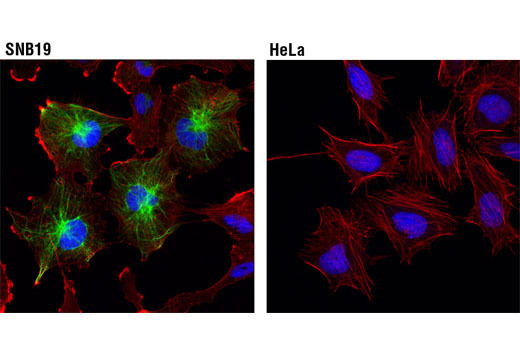 Overexpression of HES1 in a human osteosarcoma (OS) cell line was shown to repress expression of the Notch antagonist Dtx1, leading to increased OS cell invasiveness (7). 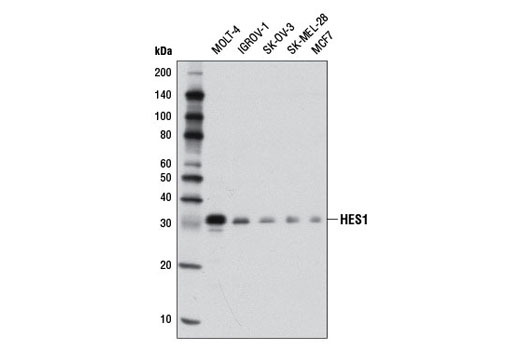 Other genes subject to transcriptional repression by HES1 include Neurogenin-2, Math1/Atoh1 and the NOTCH ligands DLL1 and Jagged1 (6,8,9). Background: Hypoxia-inducible factor (HIF) is essential for the cellular response to hypoxia (1,2). 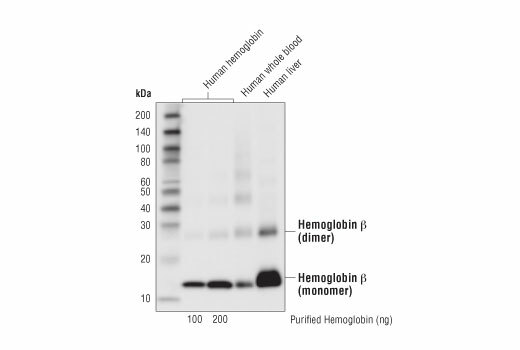 Under normoxia conditions, the α subunit of HIF is ubiquitinated by von Hippel-Lindau (VHL) protein and is degraded in the ubiquitin/proteasome pathway (1,2). 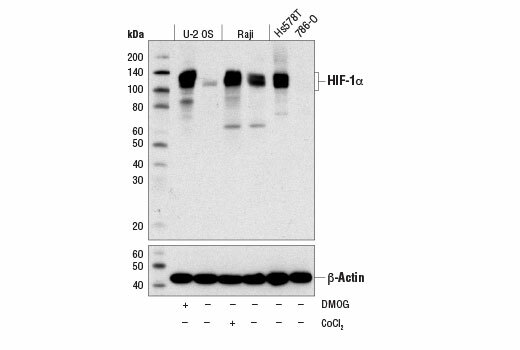 Hypoxia inhibits the degradation of the α subunit, which leads to its stabilization (1,2). HIF, in turn, regulates the transcription of a variety of genes that respond to hypoxia conditions (1,2). 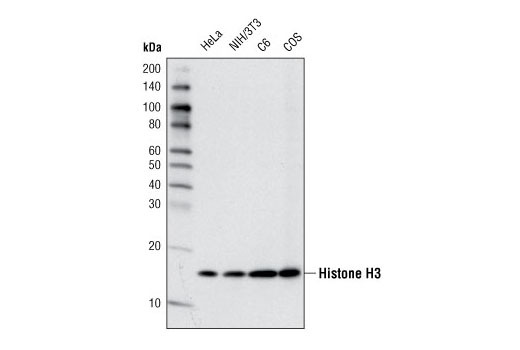 There are several isoforms of the HIF α subunit (2). 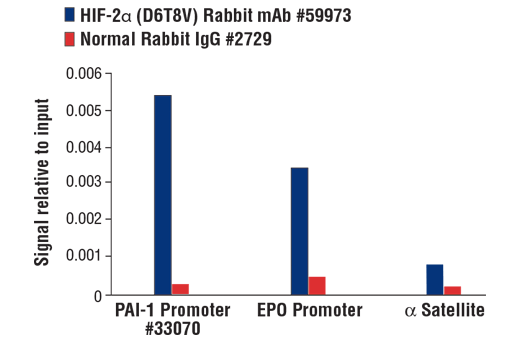 Studies have found that HIF-1α and HIF-2α expression is increased in some human cancers (2). 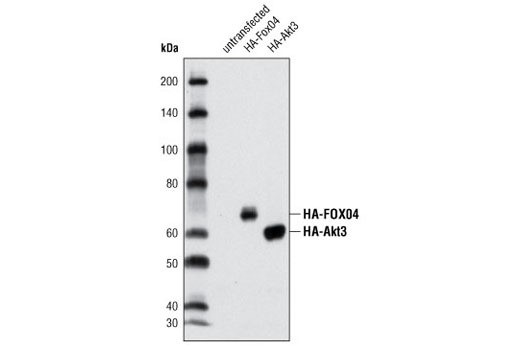 HIF-1α has both pro- and anti-proliferative activities, whereas HIF-2α does not possess anti-proliferative activity (2). 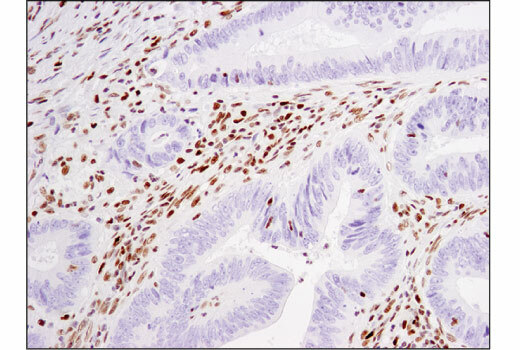 Therefore, HIF-2α likely plays an important role in tumorigenesis (2,3). Background: ICOS (Inducible Co-Stimulator, CD278) is a member of the CD28 family that regulates T cell activity and immune responses (1). The ICOS protein contains an extracellular IgV like domain, a transmembrane domain, and an intracellular domain with a YMFM motif (1-2). 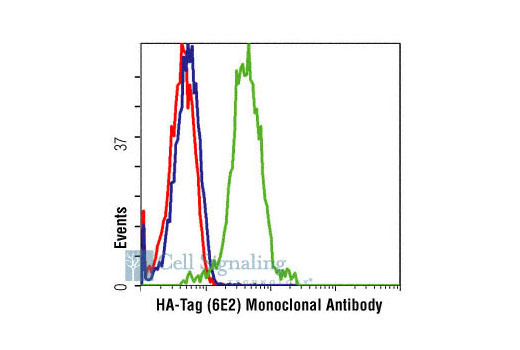 ICOS is primarily expressed on activated CD4+ and CD8+ T cells (1). Upon binding to its ligand, ICOS potentiates the T cell response to antigen through activation of the PI3K signaling pathway (2). In addition to enhancing T cell activation and proliferation, ICOS plays an important role in the regulation of T follicular helper cells (4). Research studies suggest that ICOS is a potential therapeutic target, and could serve as a prognostic biomarker for neoplastic therapy involving CTLA-4 blockade (5-7). Background: Acute phase response is induced by interleukin-6 (IL-6) produced by T cells, macrophages, fibroblasts, endothelial and other cells (1,2). 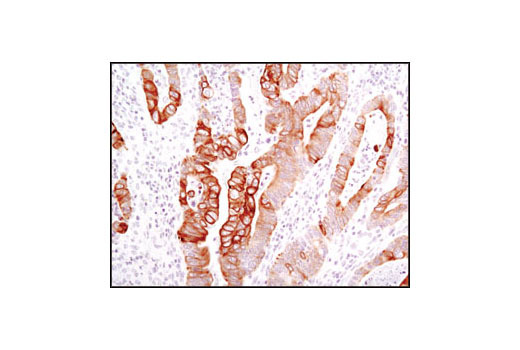 IL-6 induces proliferation or differentiation in many cell types including B cells, thymocytes and T cells. IL-6, in concert with TGF-β, is important for developing Th17 responses. 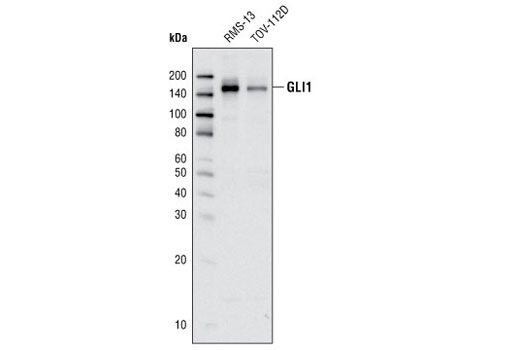 IL-6 binds to IL-6Rα and through this association induces gp130 homodimerization (1). gp130 homodimerization triggers the Jak/Stat cascade and the SHP-2/Erk MAP kinase cascade (1,3,4). 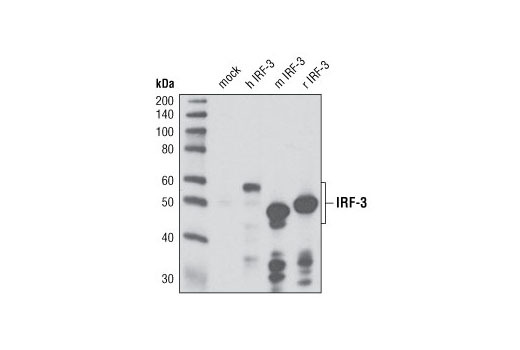 IL-6 also forms a complex with an IL-6Rα splice variant that is nonmembrane-associated (3). 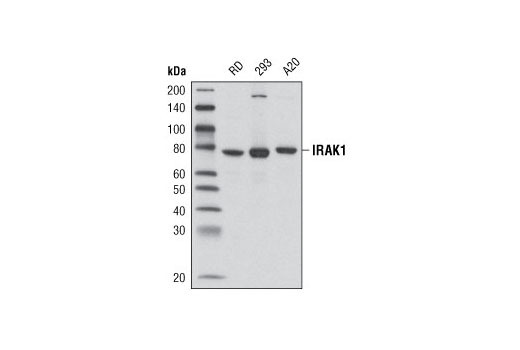 The IL-6/soluble IL-6Rα complex can then activate the gp130 signaling pathway in cells that express gp130 but not IL-6Rα (3). 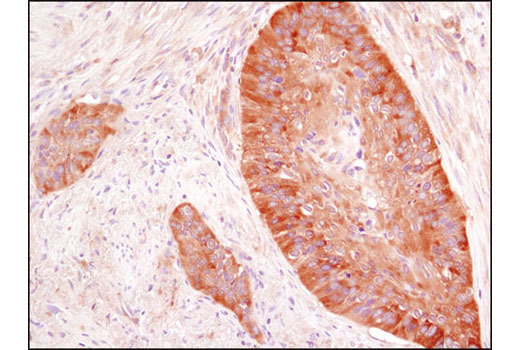 Research studies have shown that IL-6, through increasing expression of proangiogenic VEGF, may also contribute to metastatic breast cancer (5).